Airbus A330 Specs – What can this popular long haul twin jet do? 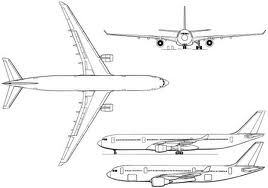 There are currently three main variants of the Airbus Industries A330. Two more variants are being planned at the moment and we will be adding these to the Airbus A330 specs as shown below. Airbus announced on 14 July 2014 that they were commencing the project for the A330neo. This will come out in two variants, the A330 800neo and the A330 900neo. The first flight is expected in mid 2016 with the first aircraft entering service in late 2017. See the specs here or a fuller story here. Please bookmark us and check back as information comes to hand. The Airbus Industries A330 200 variant compared to the 300. 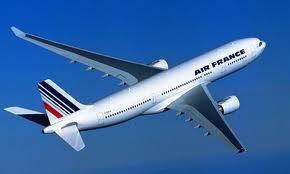 An Air France Airbus Industries A330 200. Below is a table that shows the difference between the five Airbus A330ceo and Airbus A330neo variants. An Asiana Airbus Industrie A330 300 taxis for 34L at Sydney Airport. If there is more you want to learn about this airliner, please visit: A330 Home, A330 Assembly, A330 Order Book and A330 History. We welcome your comment below, is there more we could be showing or are there topics you would like to see? Thank you. Can you please let me know what is the cargo capacity available in terms of weight if A330-300 (A333) is full with Passenger load of approximately 285 (both economy and business class). The flying hours are between 10-11 hours. We are facing lots of off-loading and unable to understand as on another flight from the same region but (flying hours are 8 hours) all economy with full pax load of +400 Passengers same Aircraft is uplifting +10Tons of Cargo. Its difficult to plan how much cargo should we book to avoid off-loading. I guess there are many factors determining how much cargo can be taken on a given day. Things like air pressure and temperature will determine how much the aircraft can safely become airborne with. These conditions are calculated individually for each mission according to those conditions. In some cases passengers are offloaded to enable the carriage of additional cargo. I experienced this in the 80s when the carriage of Kiwi fruit from Auckland to Hong Kong was popular. It was a long flight in those days for a DC10 so weight was a factor that sometimes saw passengers offloaded in favour of this perishable cargo. So yes it depends on many factors. Do you know what is the takeoff distance for the A330-900 for a 8000km flight (with full pax and cargo)? we don’t seem to be able to access that information yet, it seems. It is a question that doesn’t have a single answer of course. When talking of take off or indeed landing distance, there are various calculations that need to be completed for every flight. As well as the all up weight, which includes passengers, cargo and fuel, as well as the empty weight aircraft, you also need to consider the conditions. The weather includes conditions such as temperature. Hotter temperatures mean thinner air and less lift, so a longer take off run. Air pressure. The lower it is the less lift and the longer the take off run. Wind. A stronger wind down the runway means the aircraft will achieve required airspeed parameters more quickly and therefore a shorter take off run. take-off speed more quickly and in a shorter distance. At higher altitudes performance is reduced in the thinner air and therefore longer distances are required to get airborne. Although this might not be the answer you were after, we hope it helps. We will be updating the specs for the A330 800 neo and the A330 900 neo as details come to hand.